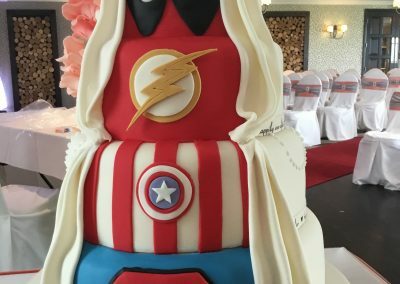 Like every couple, each Wedding Cake is unique. 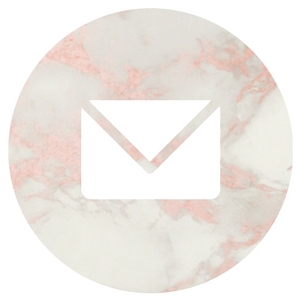 It should reflect your theme & colours, but also your personalities. 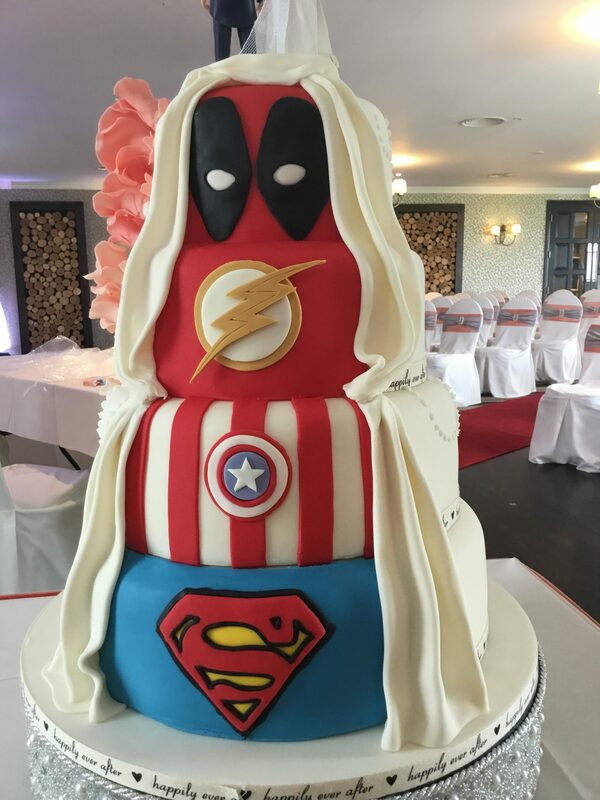 This could be handmade models of you doing what you love, elements of how you met, or your favourite Super Hero. 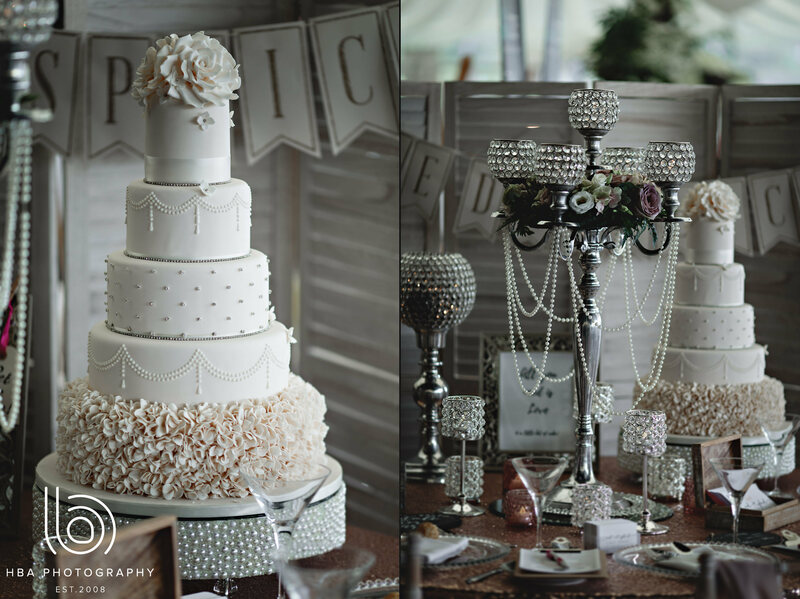 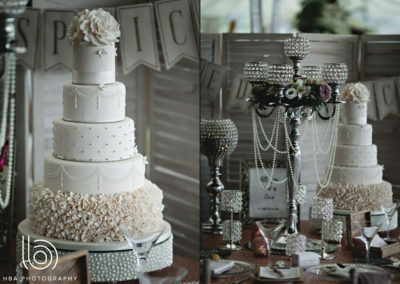 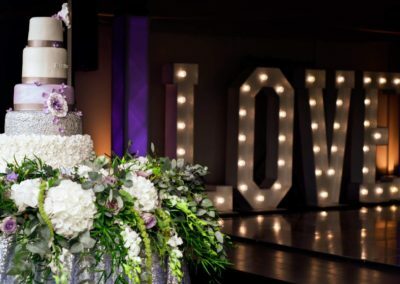 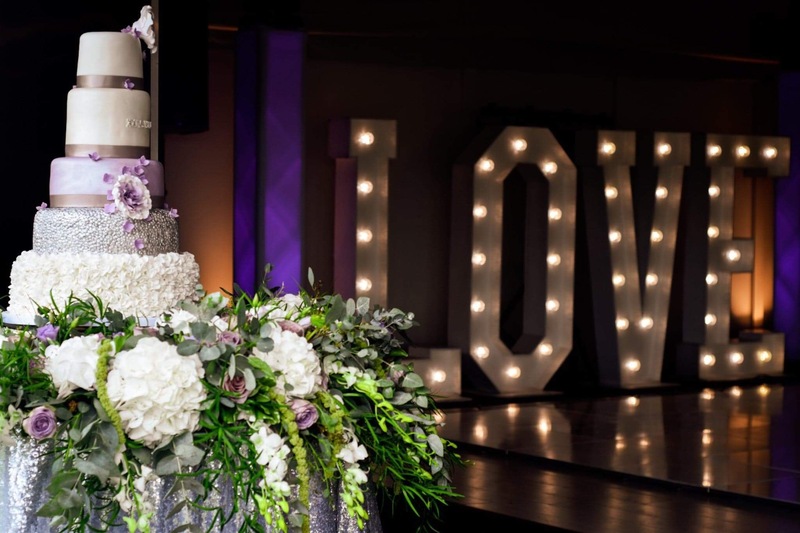 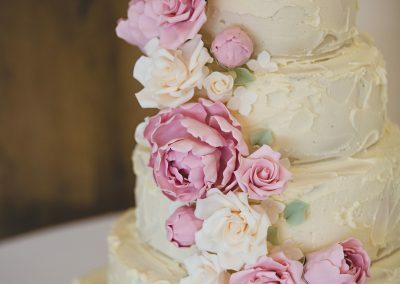 There are so many options for your wedding cake that it can be a little overwhelming. 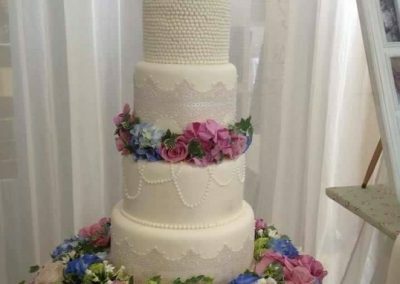 But it doesn’t have to be. 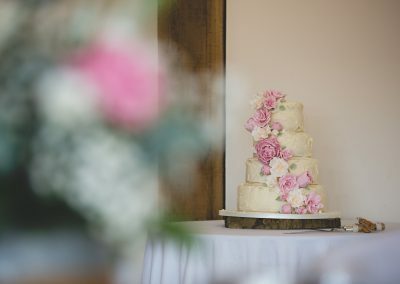 One of the things I love about what I do is meeting with my couples to sit down with them to talk through their options, so that we can create something that suits them perfectly. 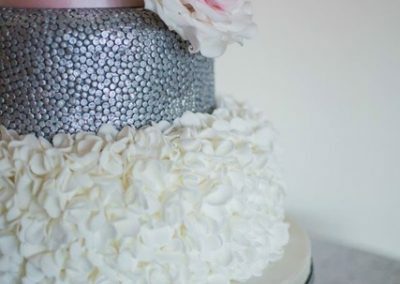 From look, to taste, to budget. 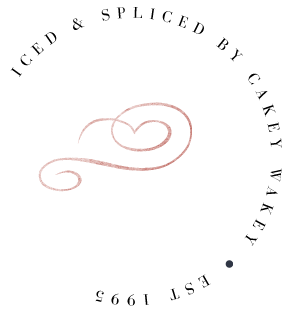 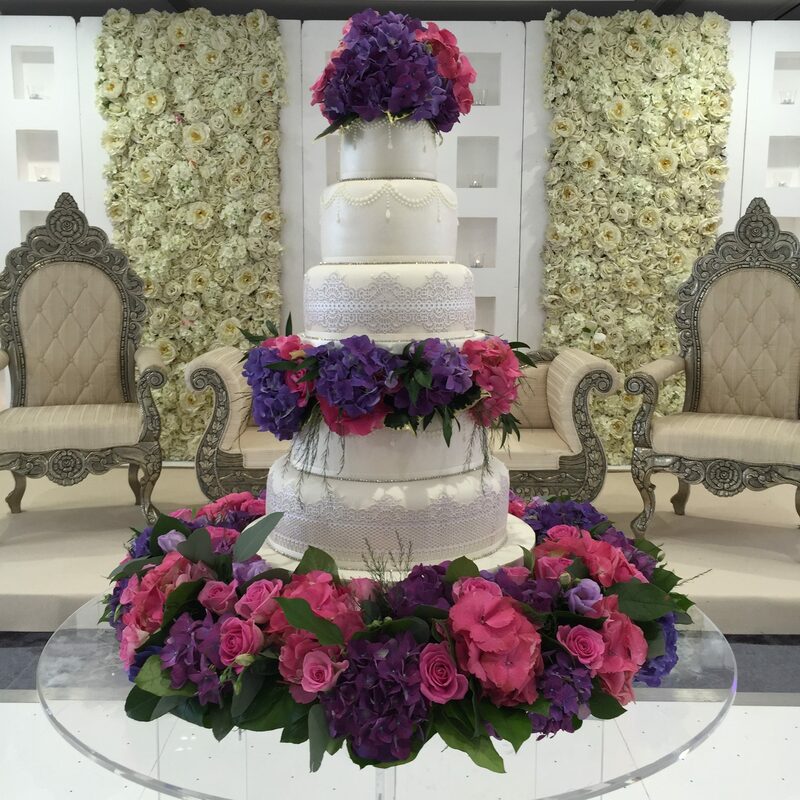 The free consultations we do are all part of the Iced & Spliced experience and this is what makes us different. 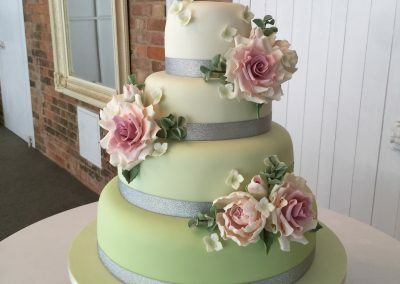 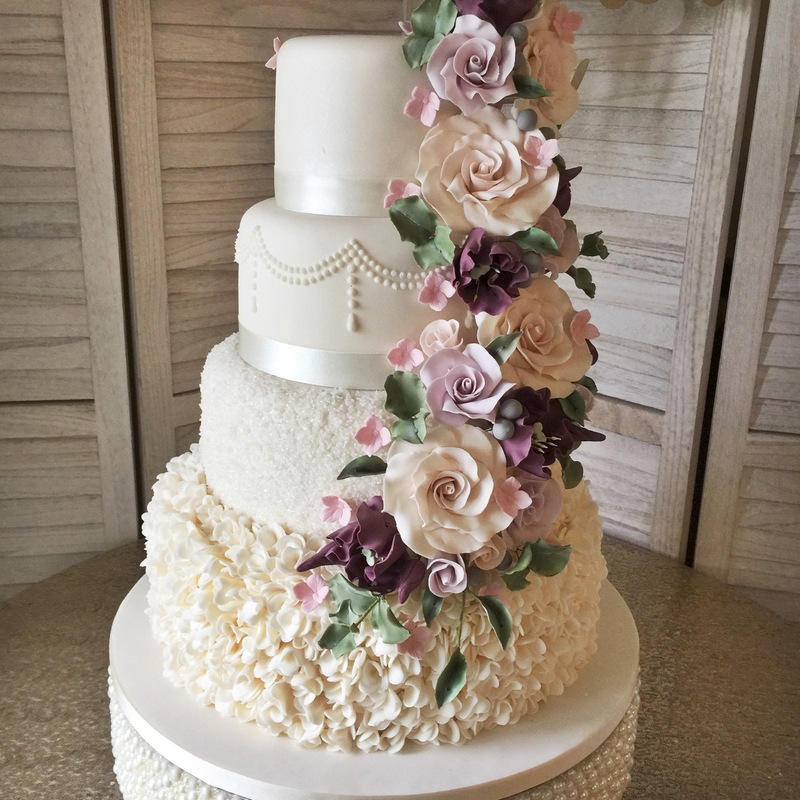 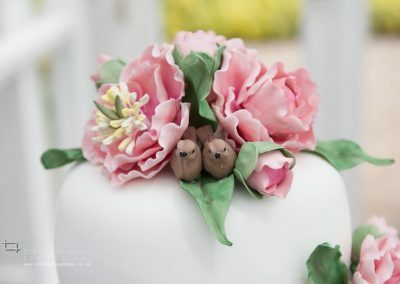 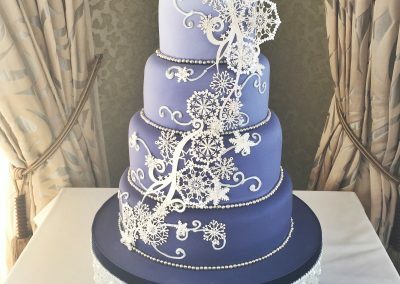 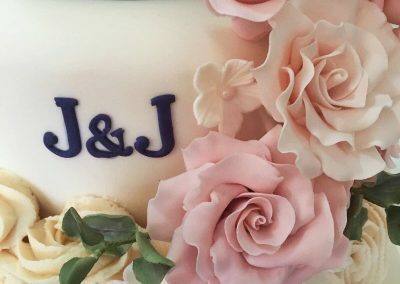 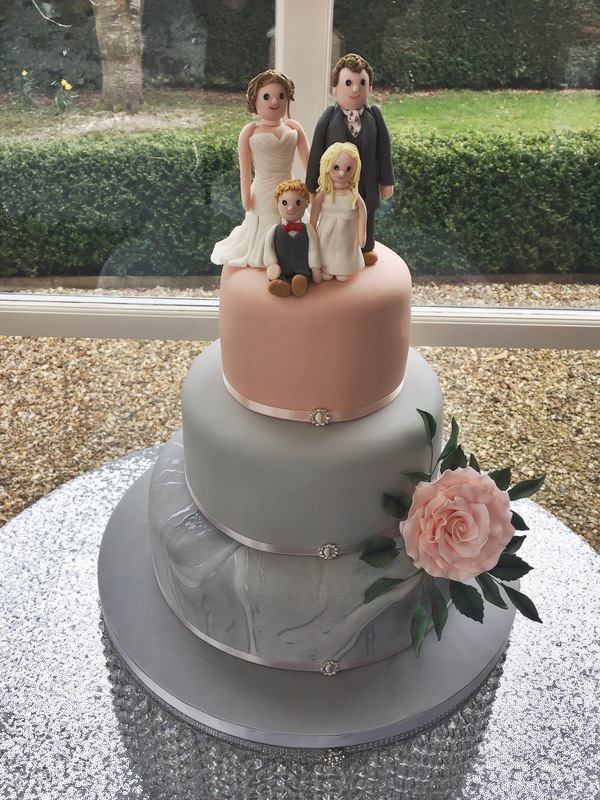 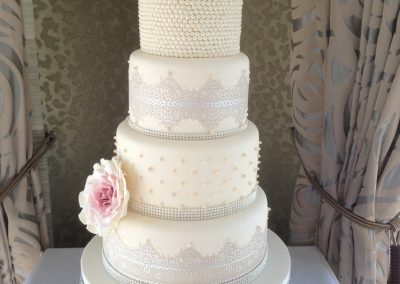 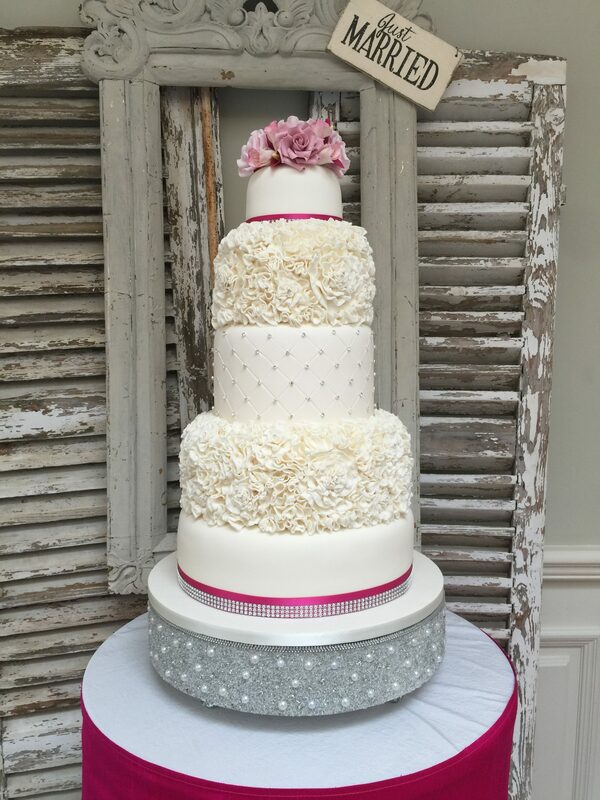 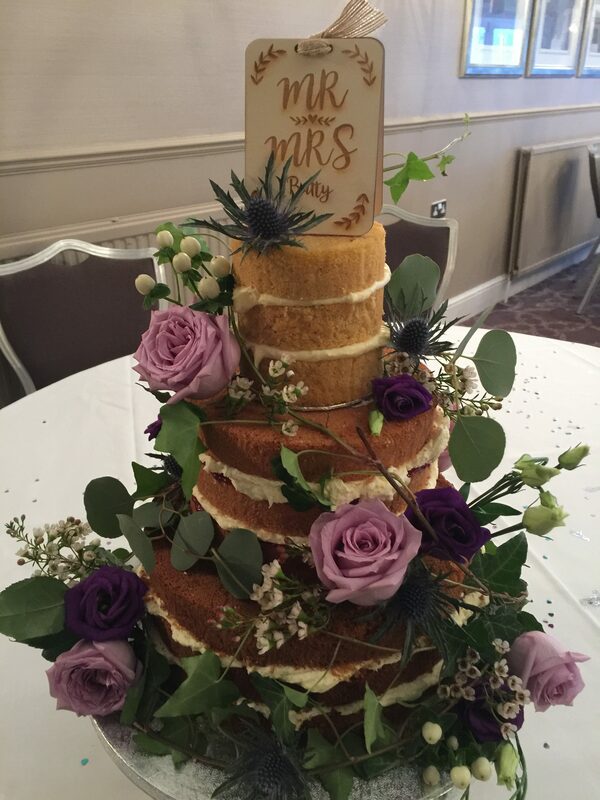 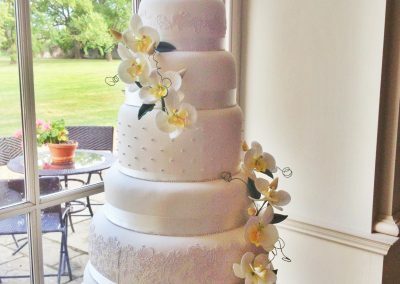 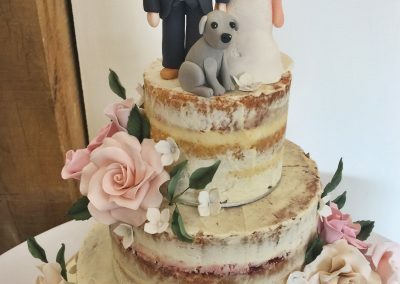 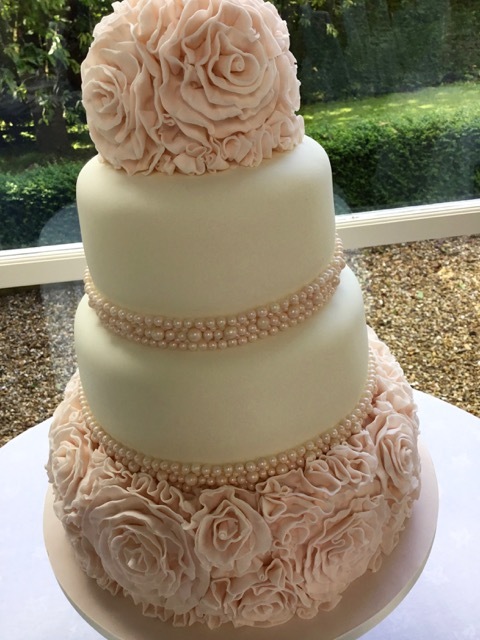 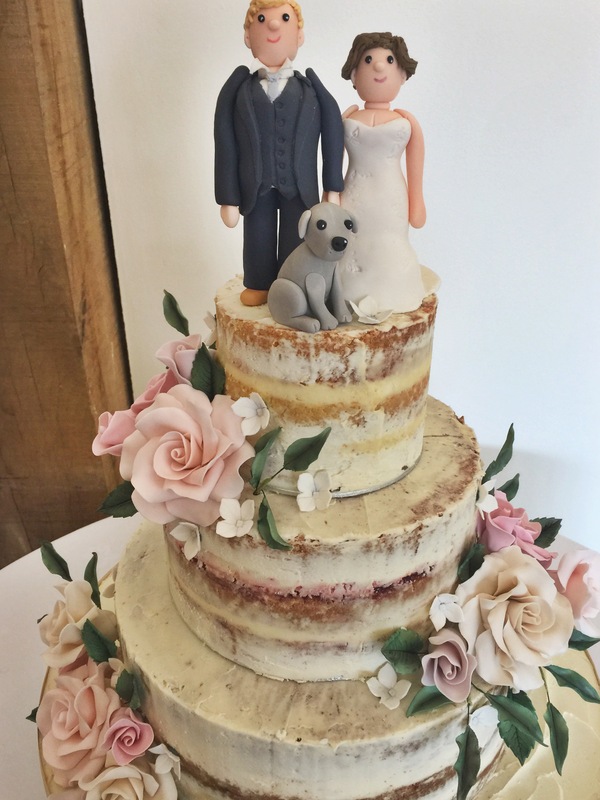 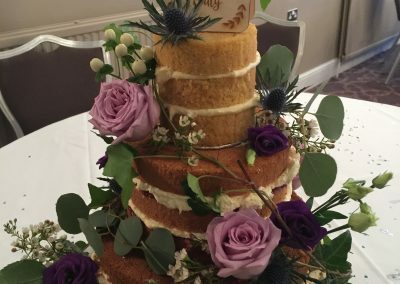 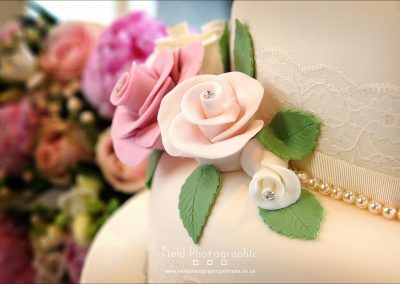 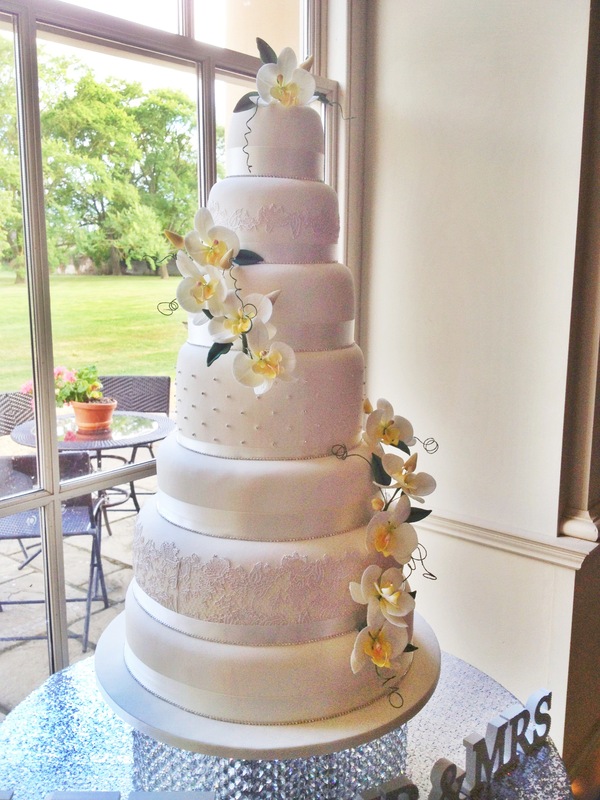 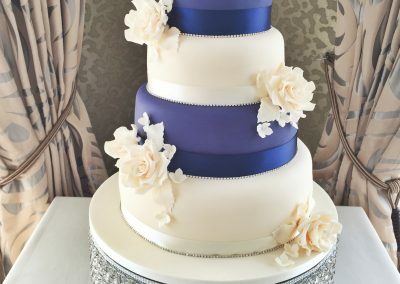 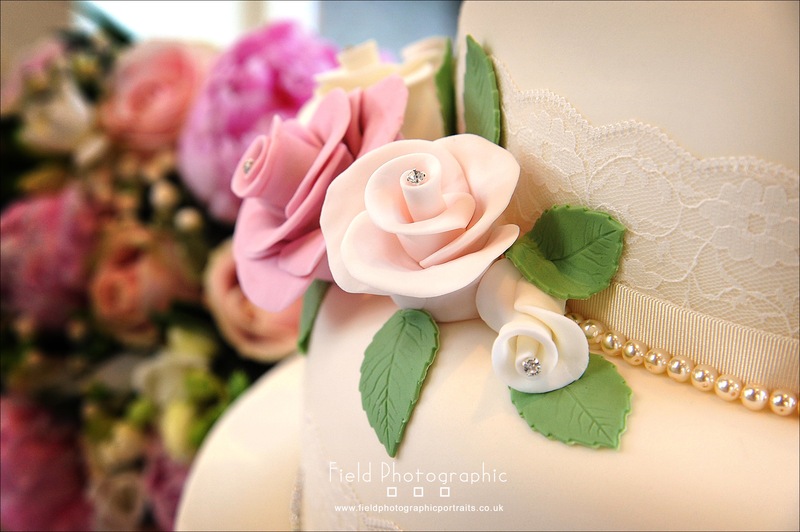 I have been making cakes for over 20 years and absolutely love working with couples, from the design to the creation to setting up the cake on the big day. 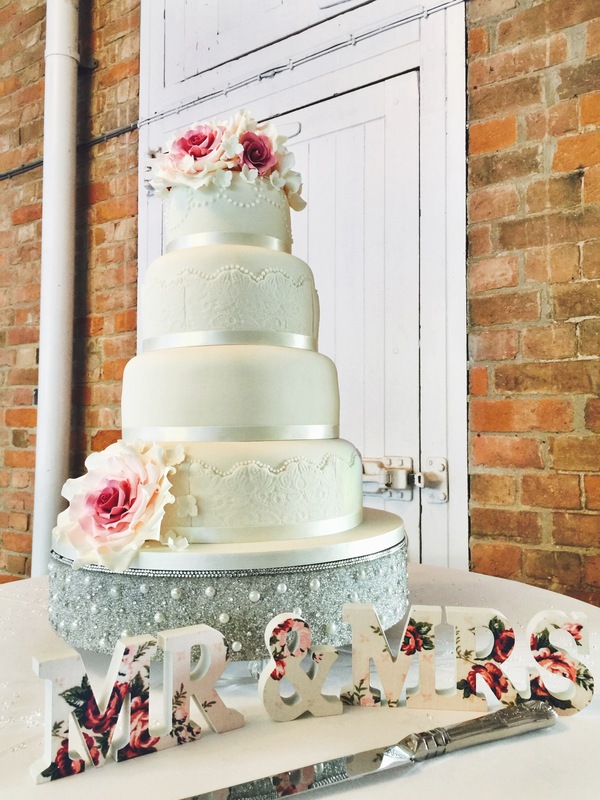 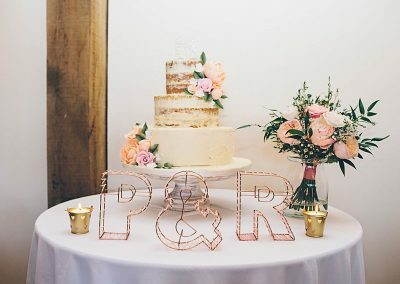 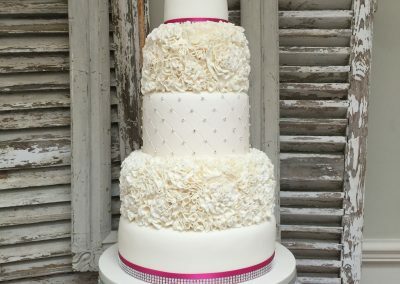 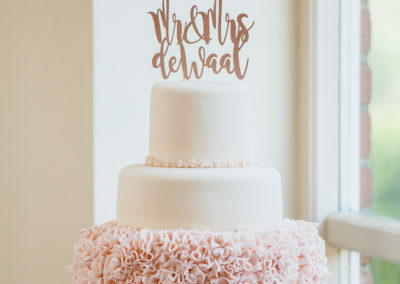 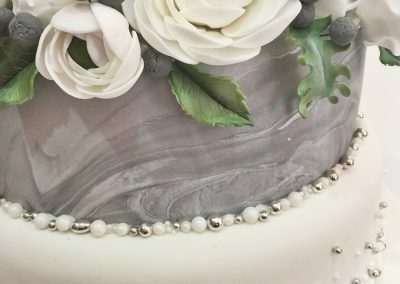 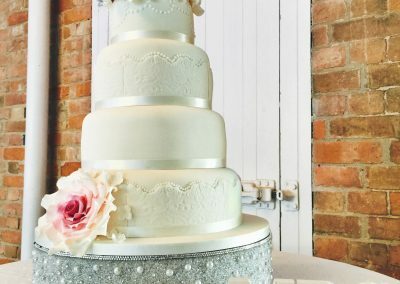 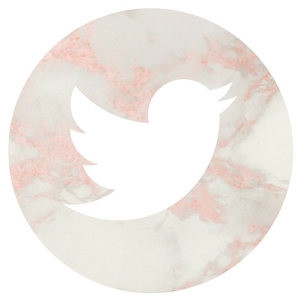 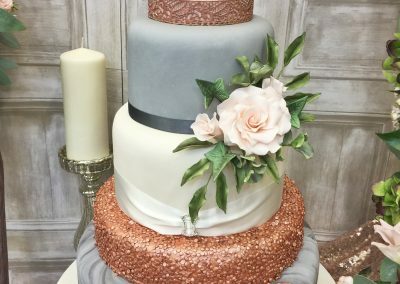 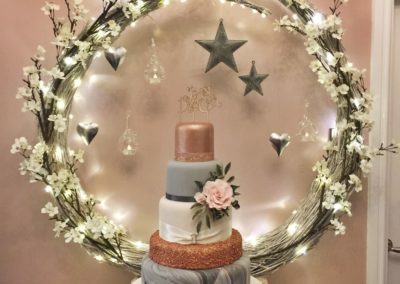 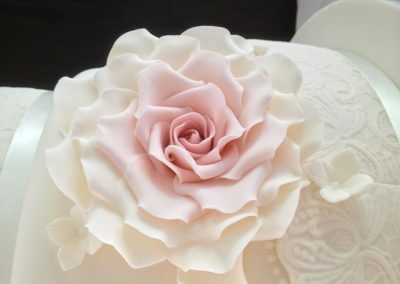 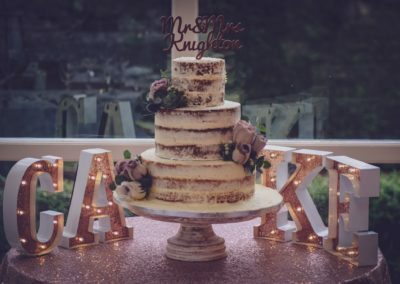 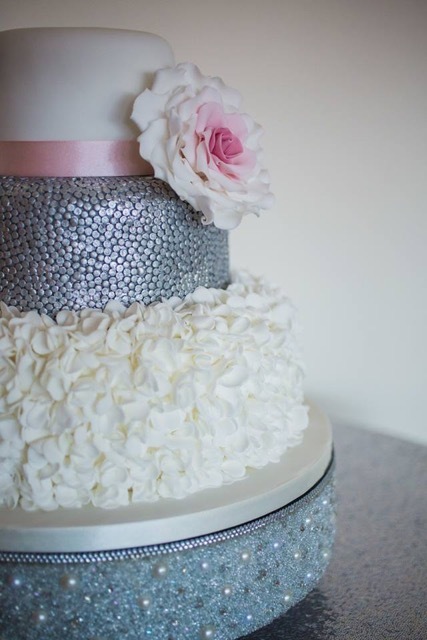 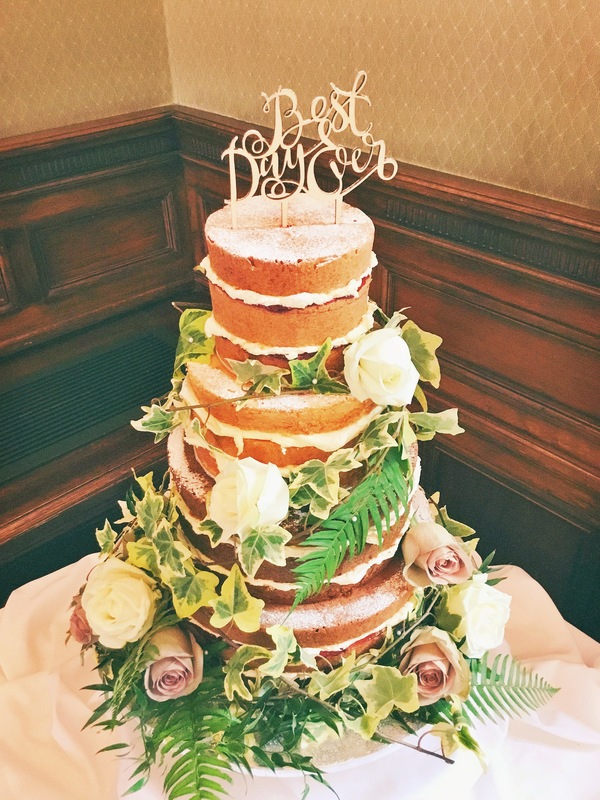 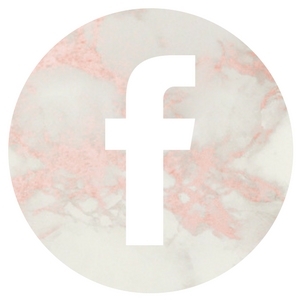 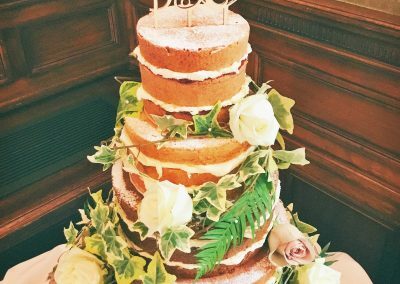 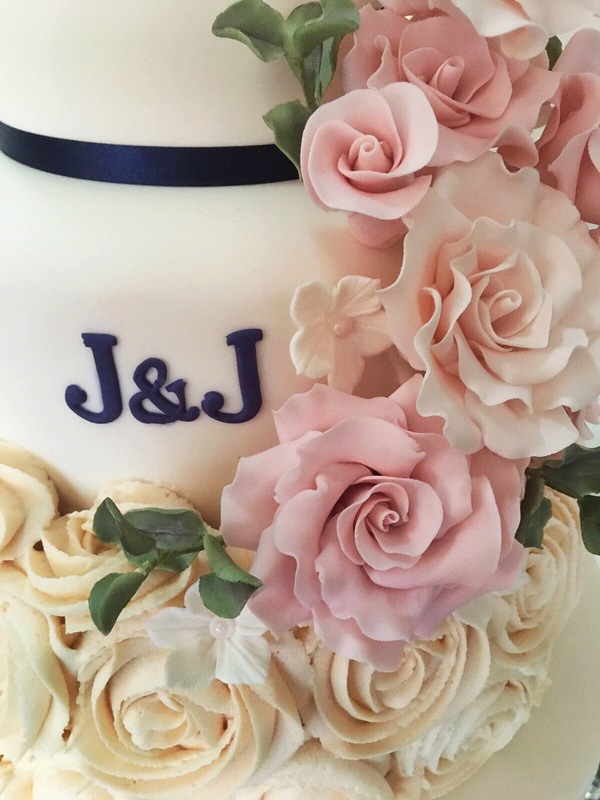 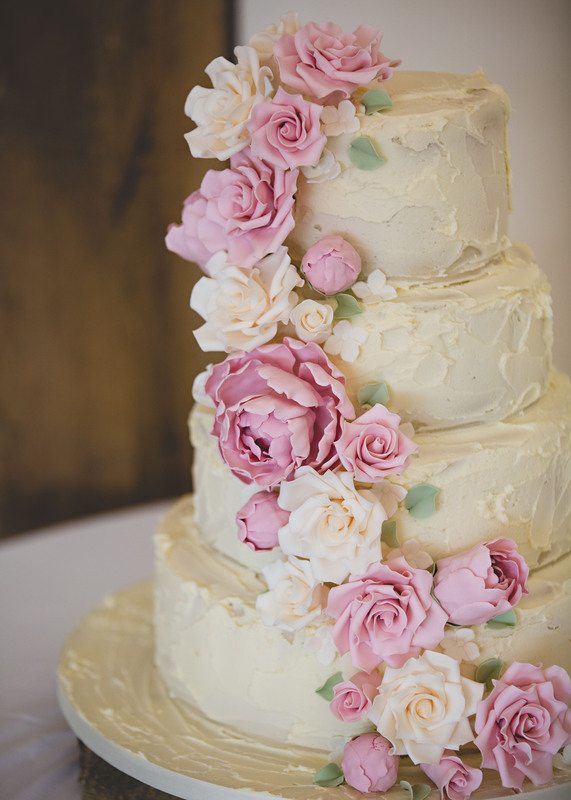 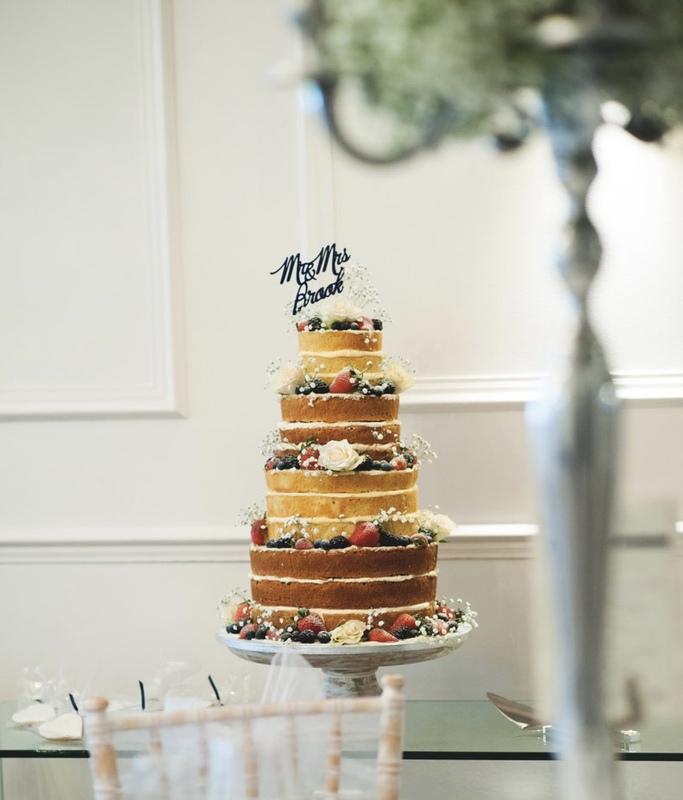 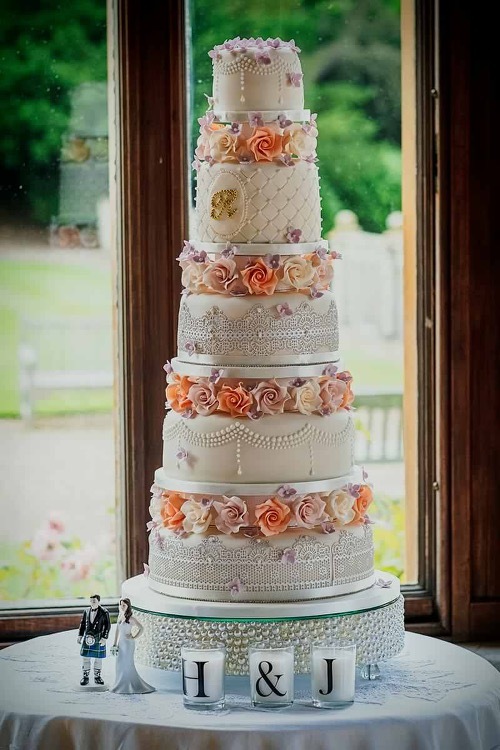 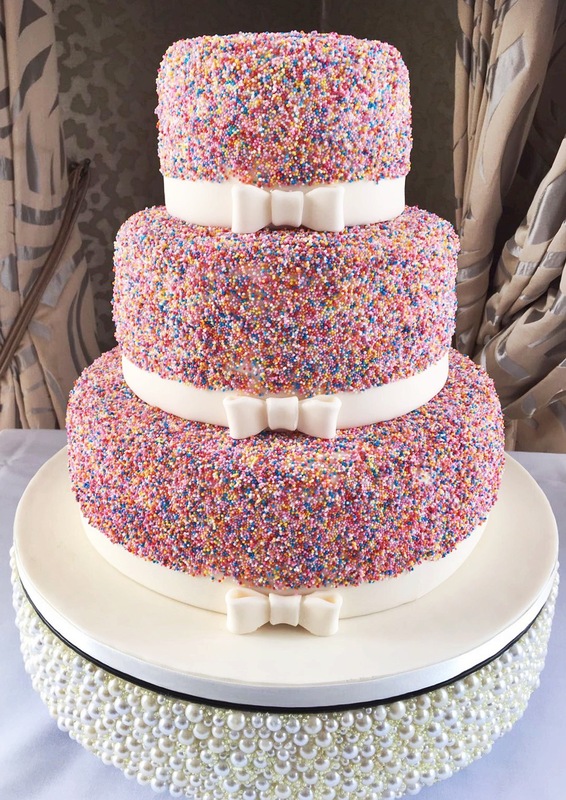 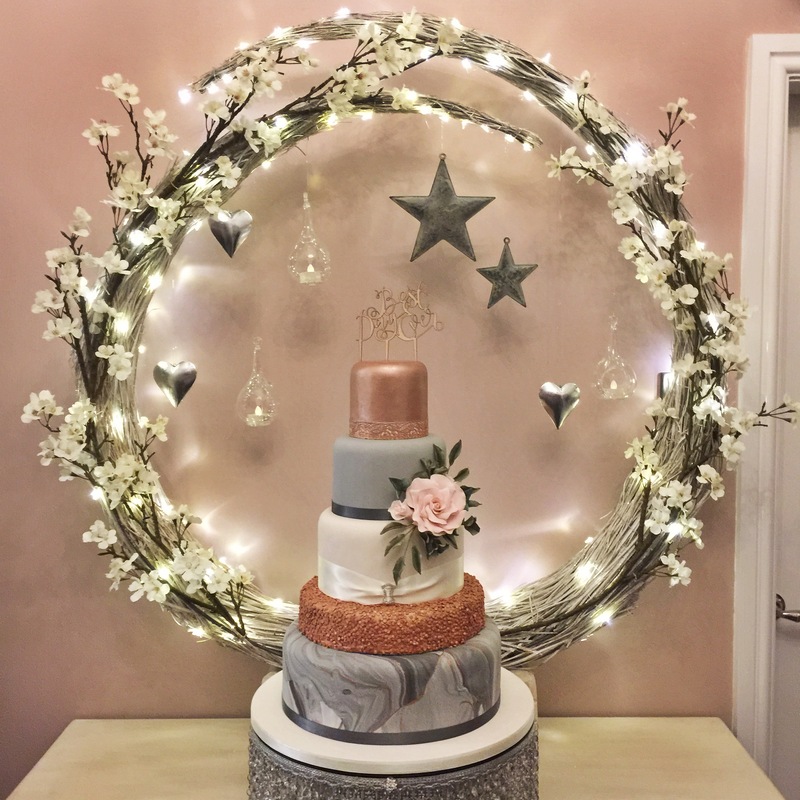 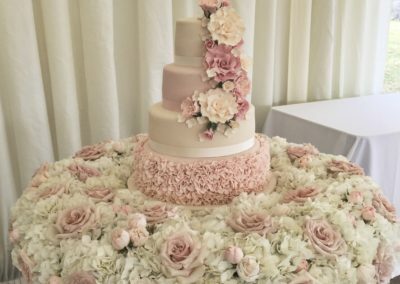 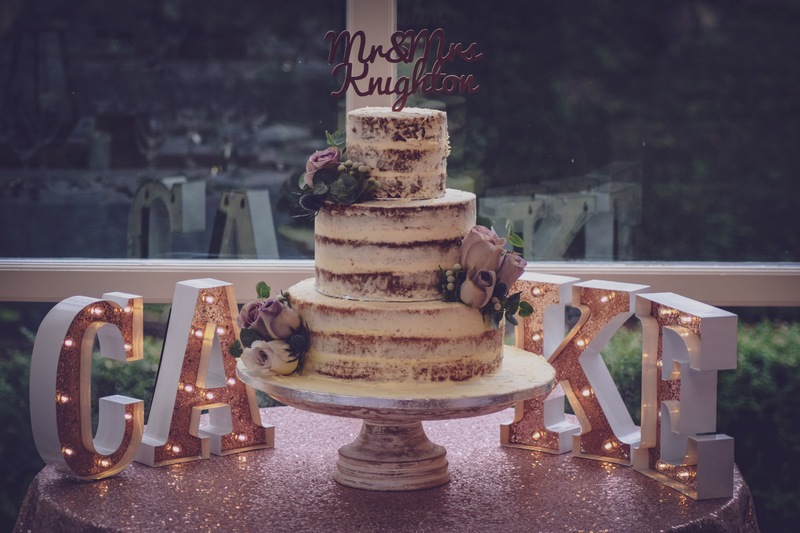 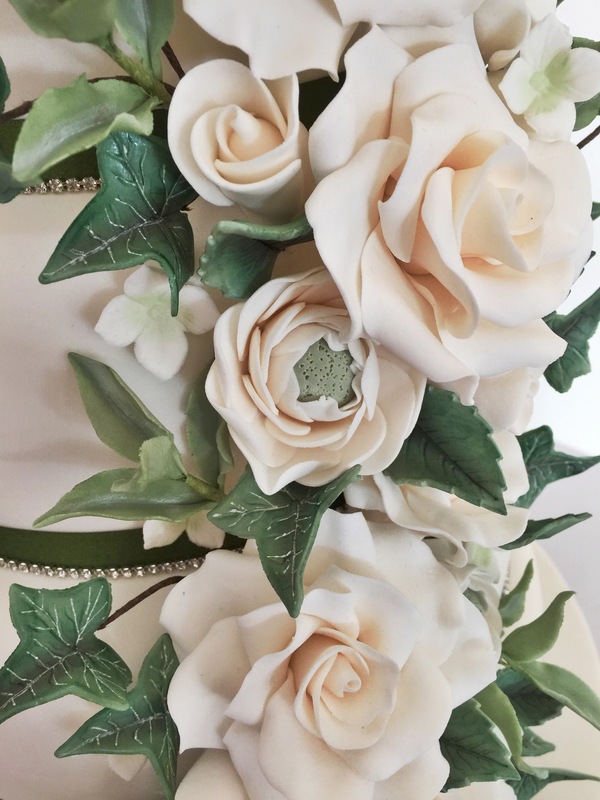 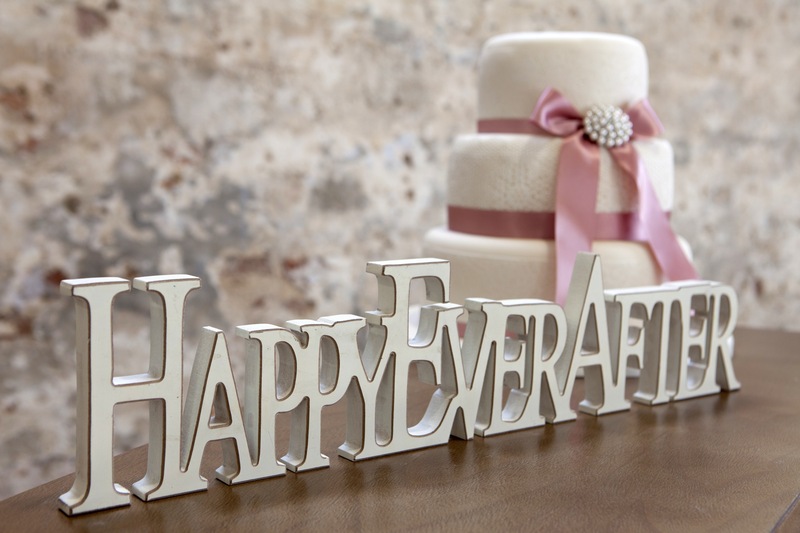 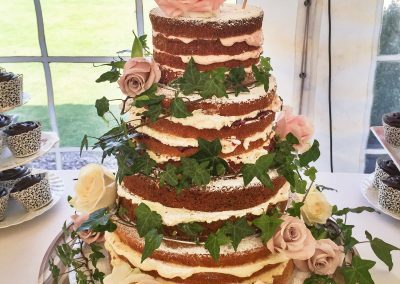 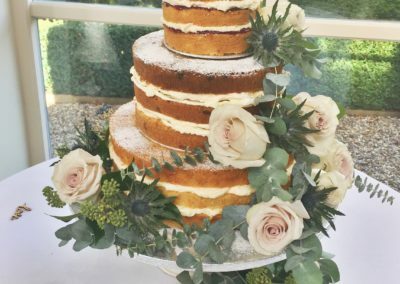 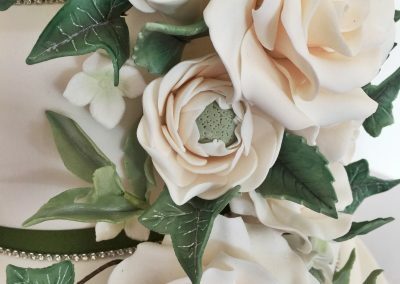 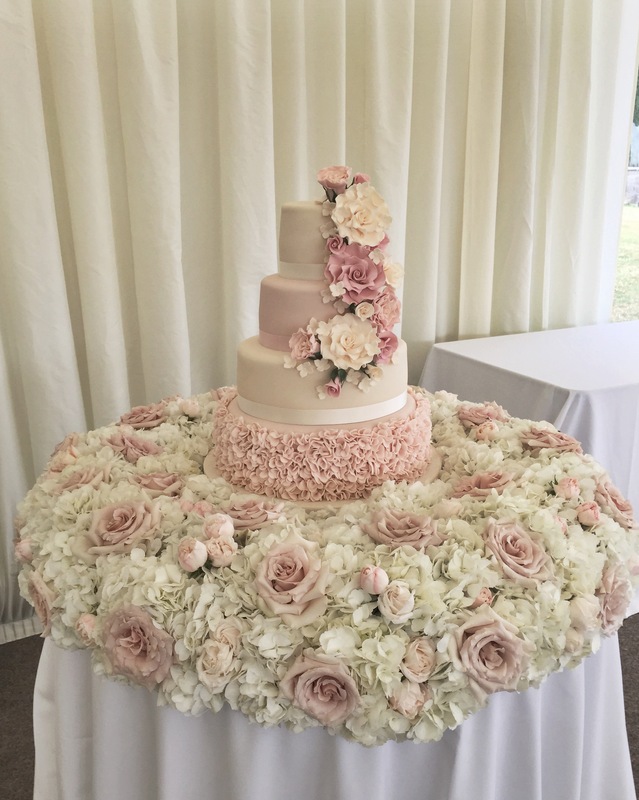 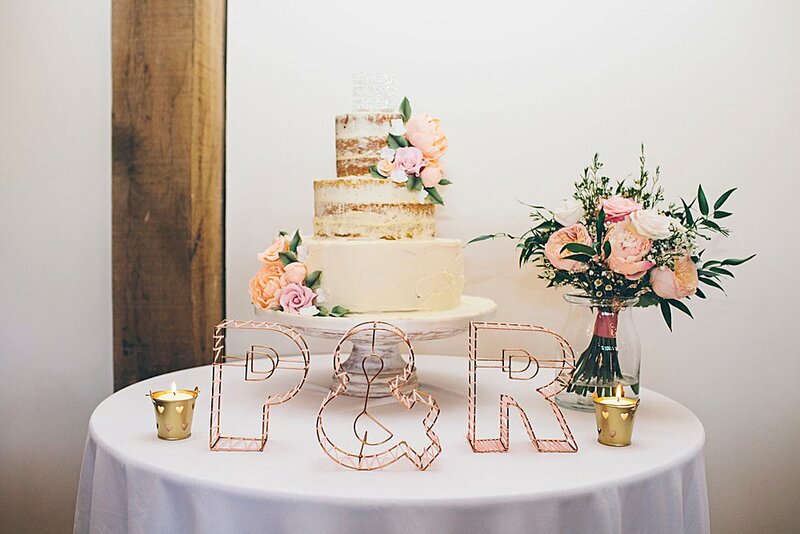 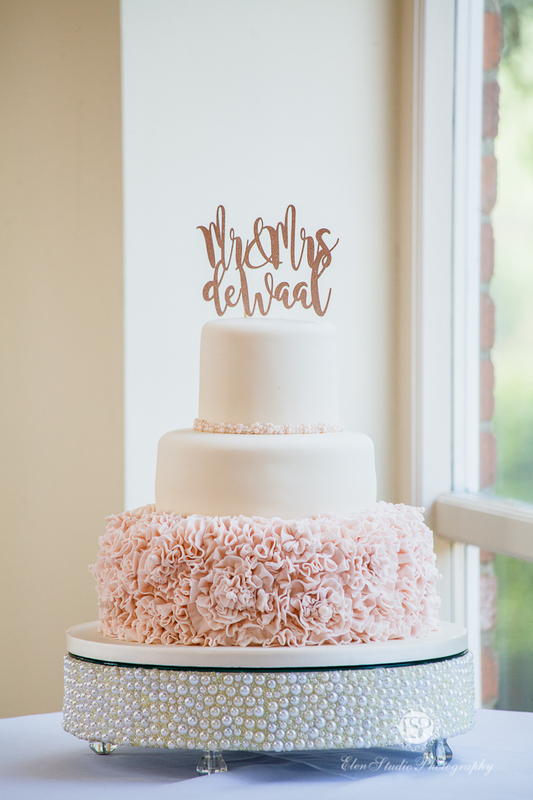 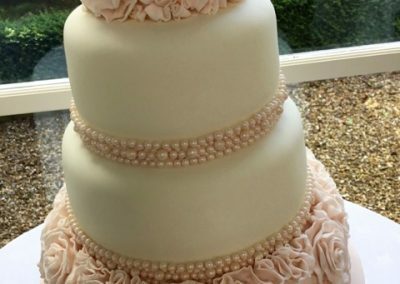 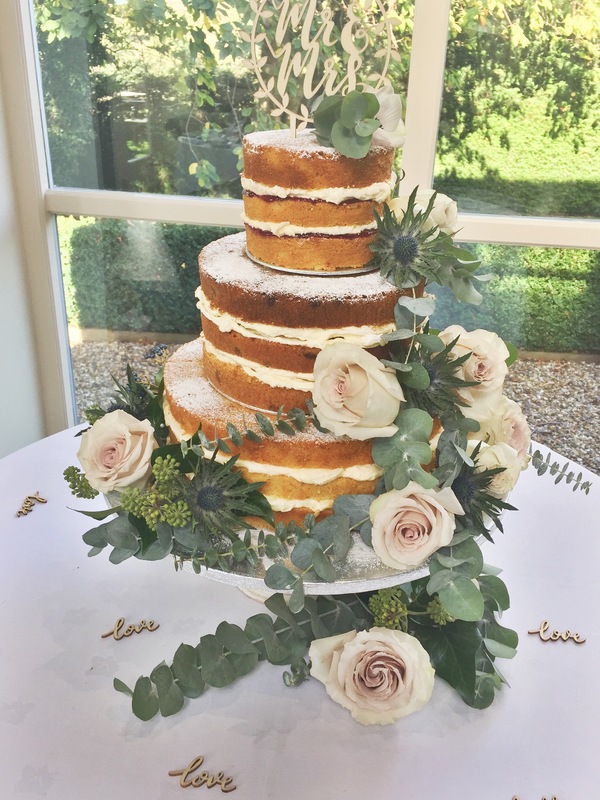 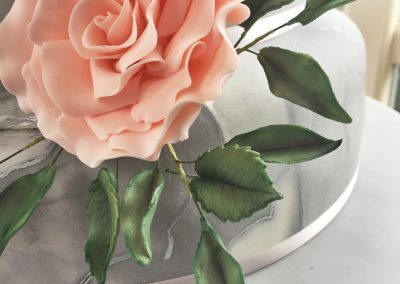 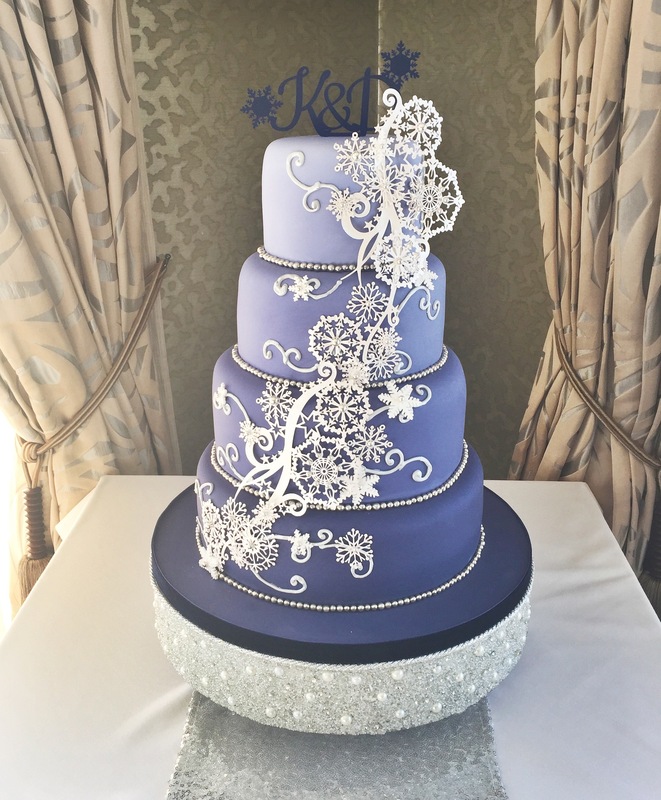 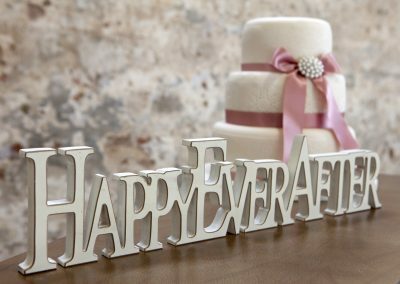 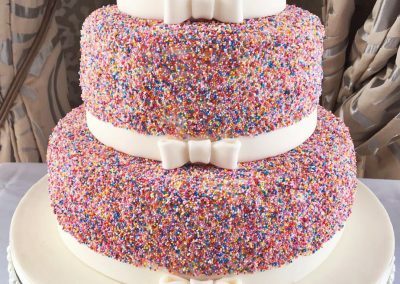 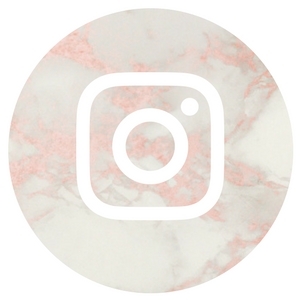 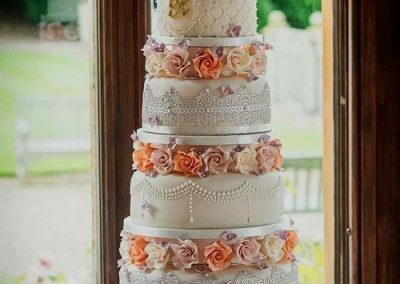 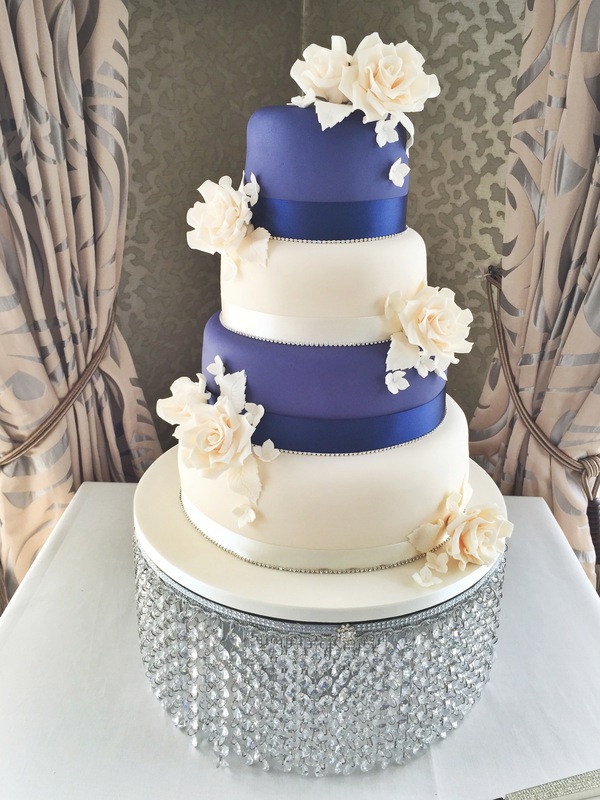 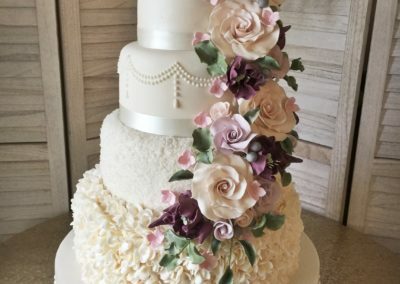 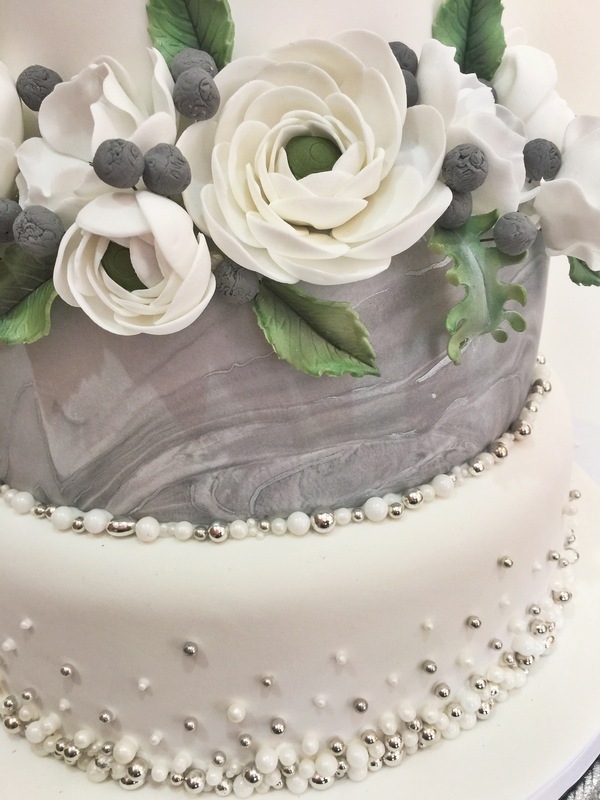 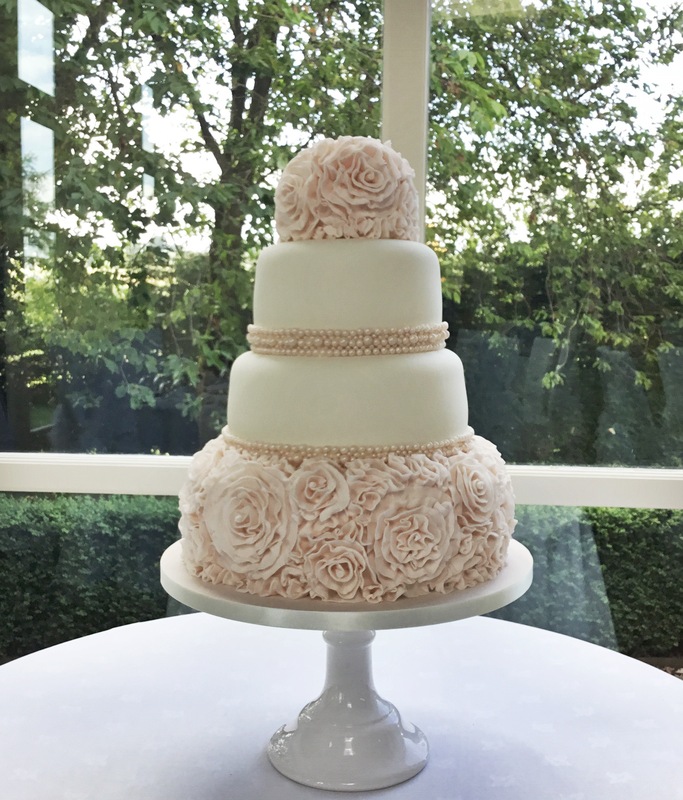 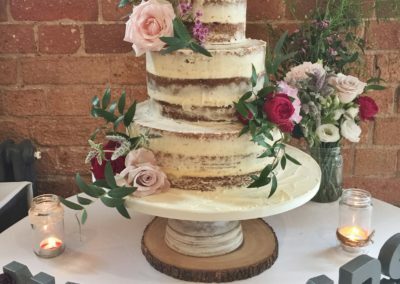 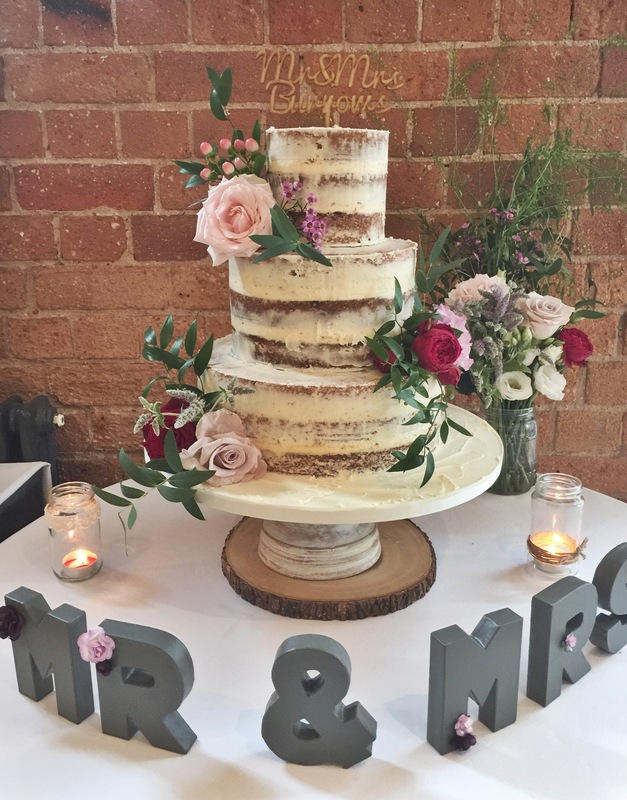 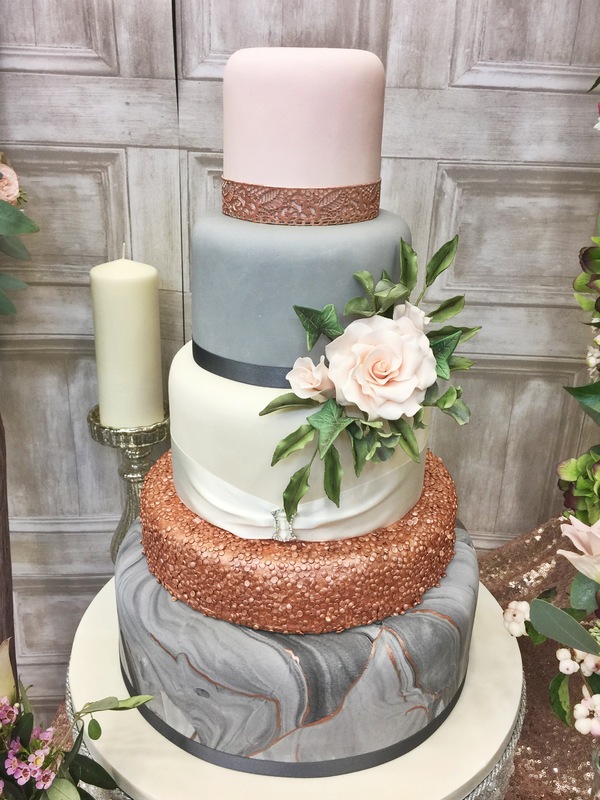 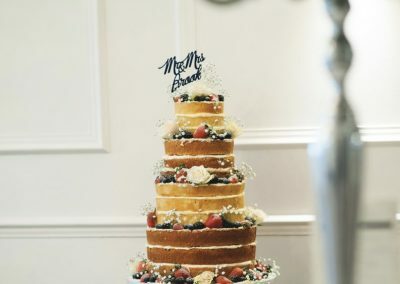 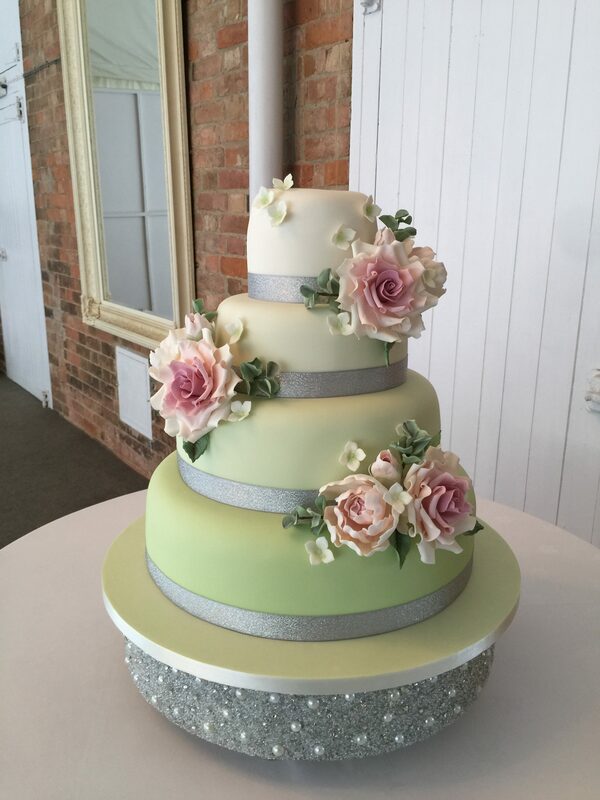 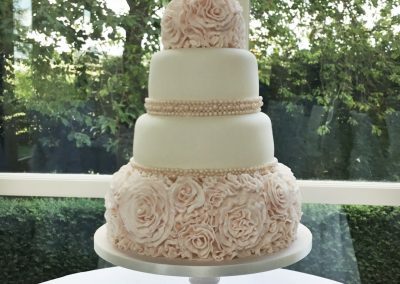 I love the new trends that are taking over the industry at the moment, from Naked & Semi Naked cakes, to traditionally iced, sugar flower encrusted creations to marbling and rose gold shimmers – the options really are exciting! 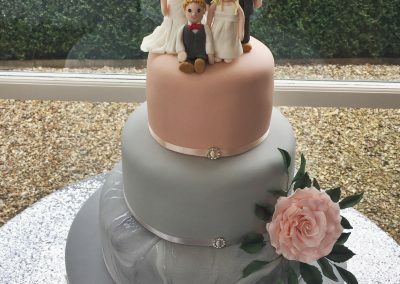 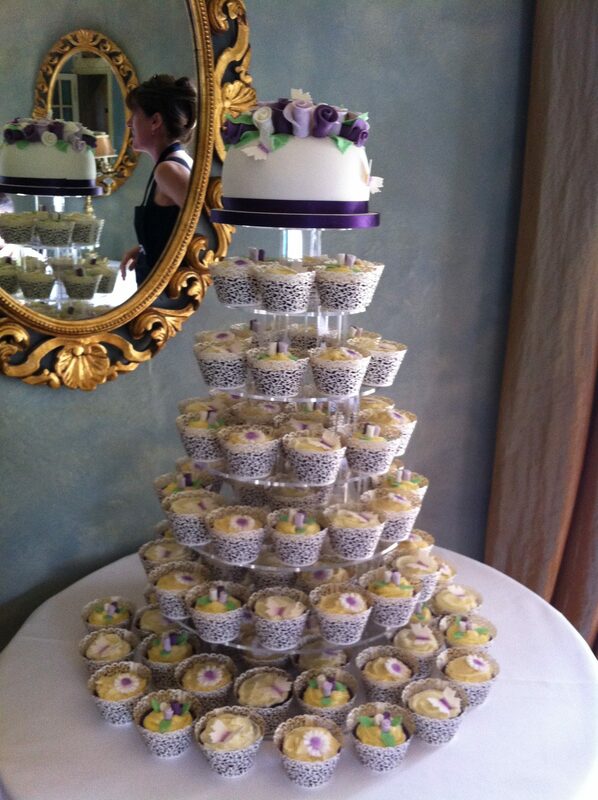 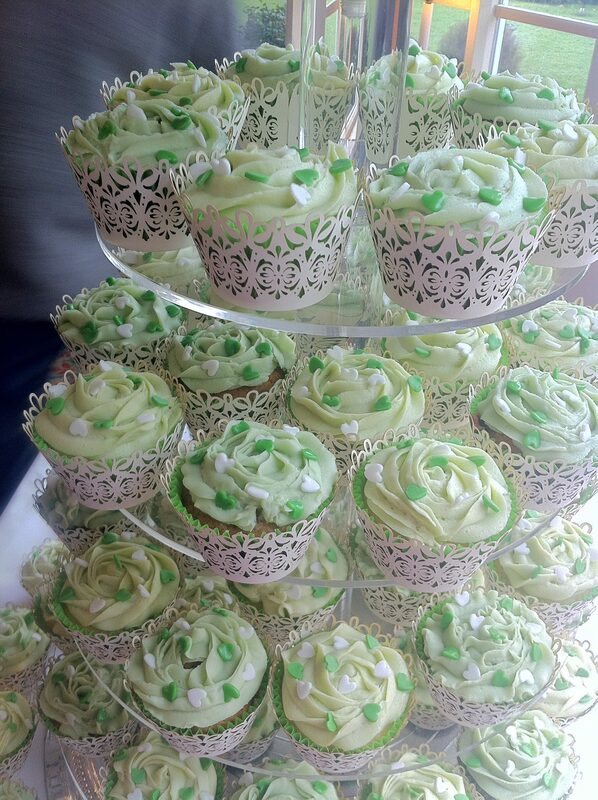 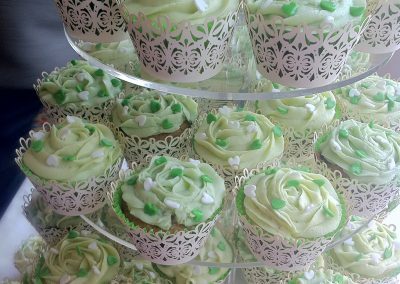 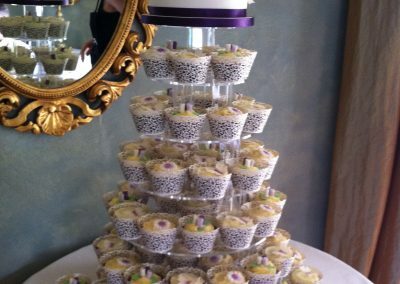 Each of our cakes are handmade and designed by me, your head baker and creator! 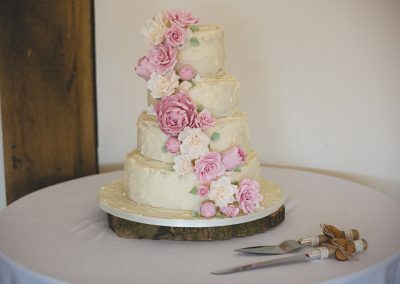 I only ever use fresh local ingredients with 100% natural flavours because I strongly believe that your cake should not only look incredible but taste pretty good too! 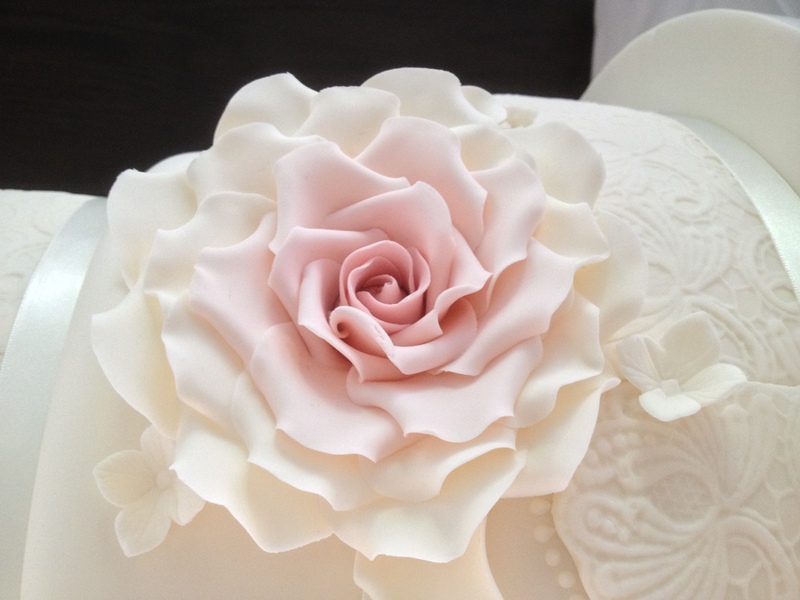 Each and every cake is made fresh, specifically to the design we have created. 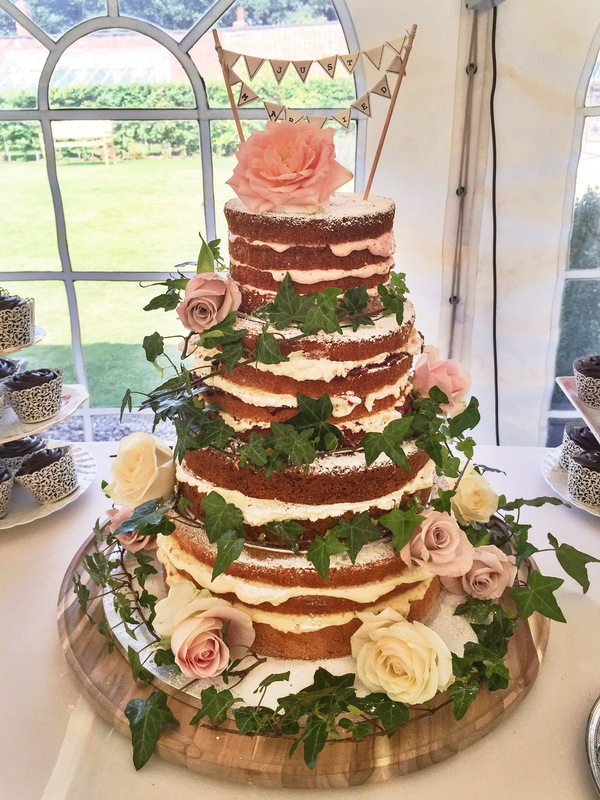 Nothing is shop bought or mass produced and the only preservatives in our cakes is in the jam! 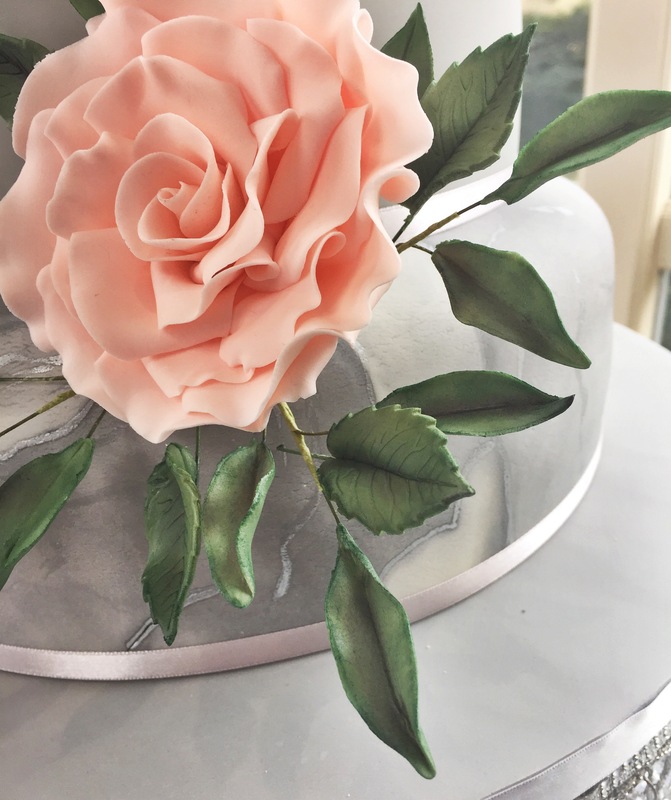 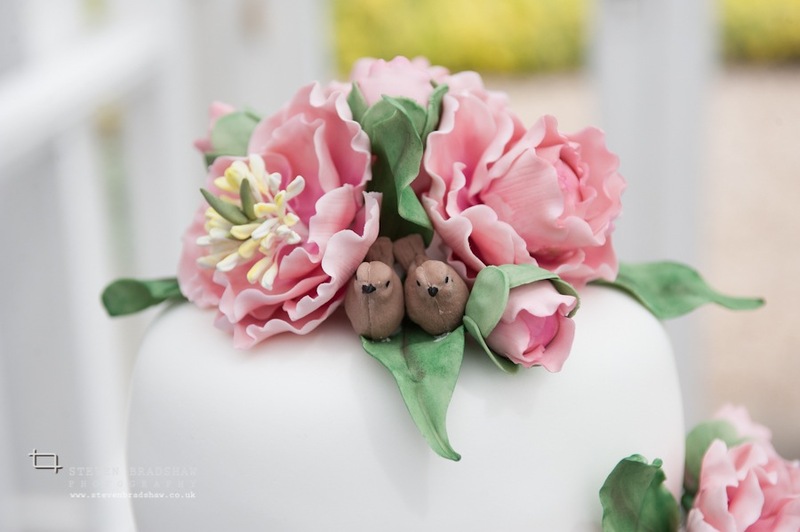 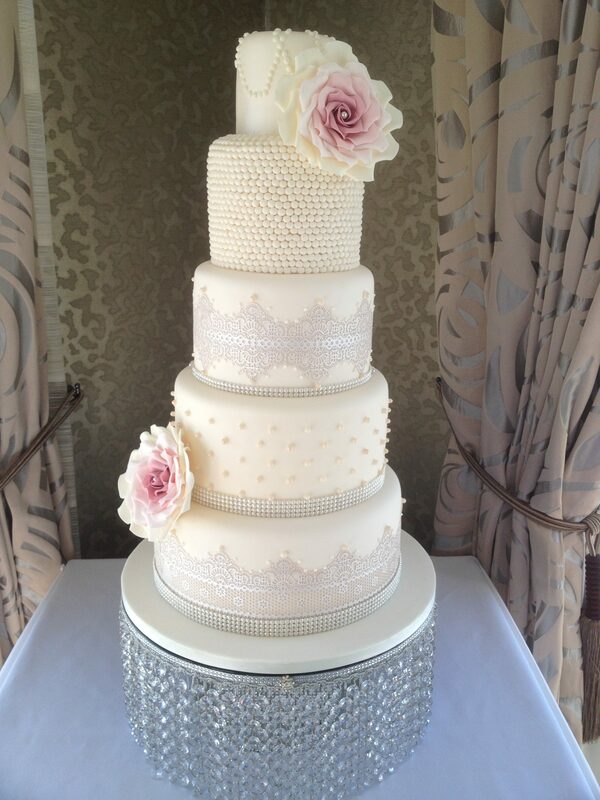 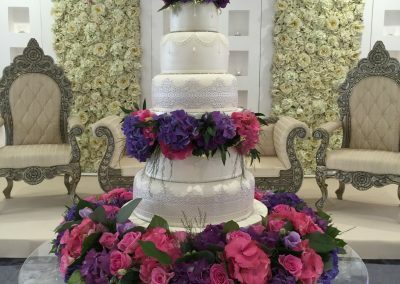 Take a look at our cake portfolio below to give you an idea of what we can create. 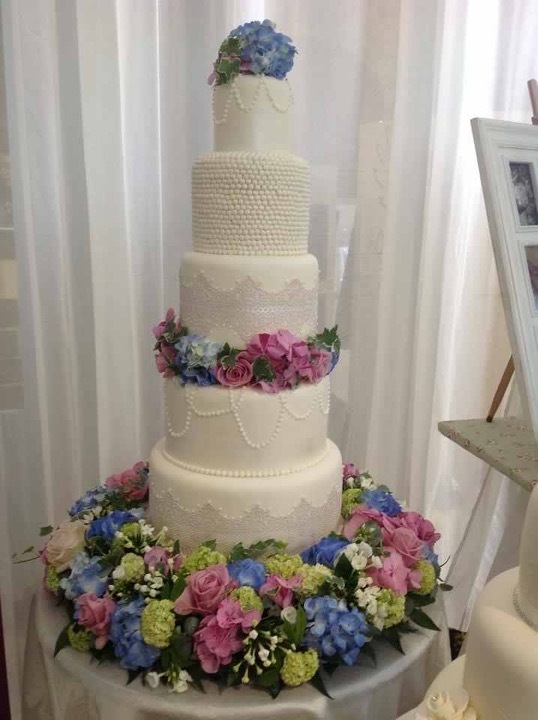 Prices start from £250 dependent upon the cake design, size and a few other details. 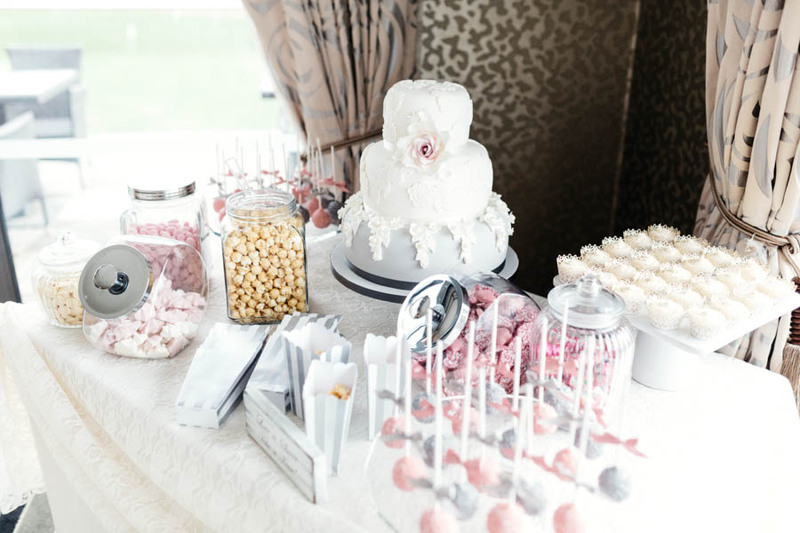 All things we discuss at the no-obligation consultation (you can read more about them here).